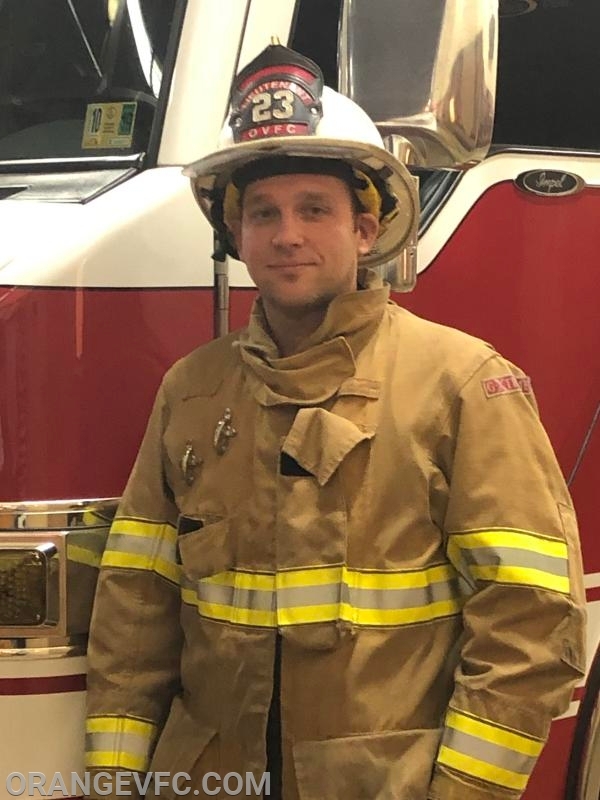 This month we sat down with Second Assistant Chief Jason Morris to ask him a few questions about being a volunteer firefighter with OVFC. Jason joined OVFC in 2001 as an associate member. Upon turning 16 he became an active member. He has served as an active member for 16 years. Jason lives in Orange with his wife Kayla. They have two girls, Ainsley (7), Sadie (3), and just welcomed their first son Gavin this past November. Jason works at North Anna Power Station as a Cyber Security Specialist. He received his Associates degree in 2009 in Information-Technology-Computer Applications. Currently he is pursuing his Bachelor’s degree in Information Systems and Cyber Security. Jason enjoys hunting, playing golf, and watching pretty much any major sport. 1. Why did you join OVFC? 3. You work full time, have a family, and volunteer. How do you manage all of your commitments? 4. If you had the choice to ride the Engine or Truck, what’s your pick? 5. While a lot of the time the primary focus is on the firefighters who are running the calls, their families and the sacrifices they make are often over looked. We took a minute to sit down with Jason's wife, Kayla and asked her; What is it like to have a husband as a volunteer fire fighter?